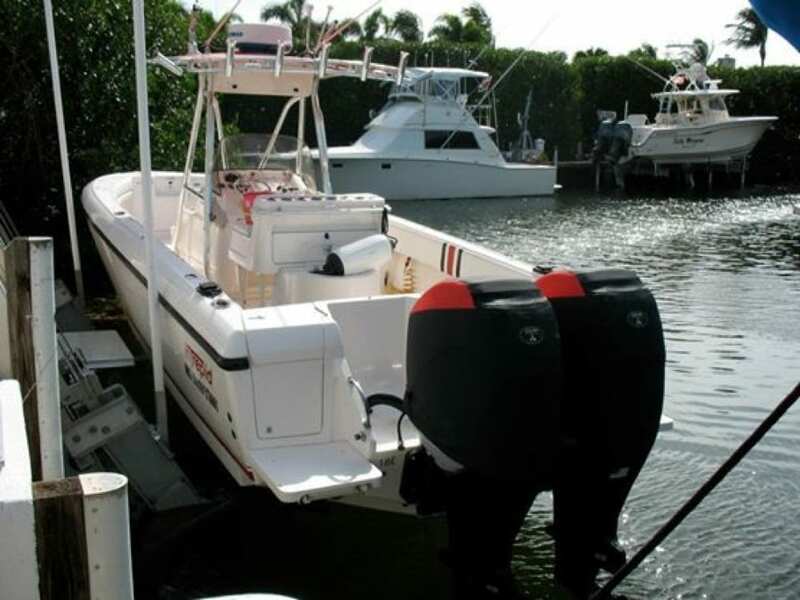 I have a customer down in the Florida Keys with an Intrepid center console. The boat is used some for fishing and catching lobsters, but the majority of the time it is used as more of a family boat. 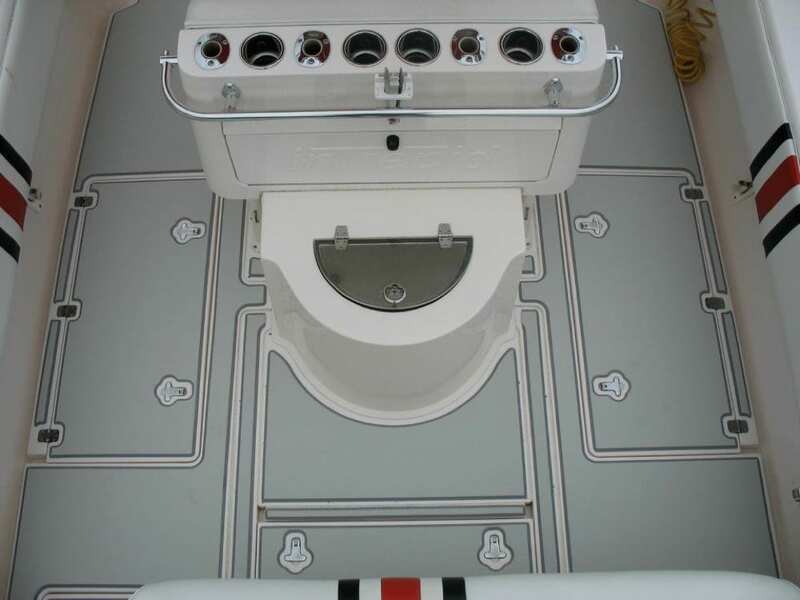 One of the great added benefits of the SeaDek is the traction that it adds to a boat. 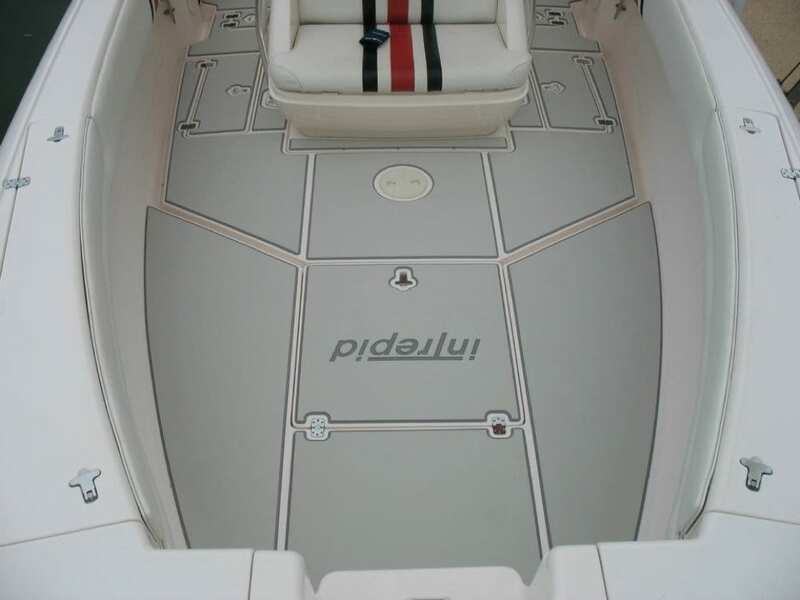 Many non skid patterns on boats are not very aggressive and when they become wet, they also become very slippery. With your kids and family using the boat, safety is always a concern. SeaDek was designed to provide traction even when soaking wet and that brings some comfort and peace of mind. Speaking of comfort, on this particular job the customer decided go with an 8mm foam over the standard 6mm for extra comfort and cushion. 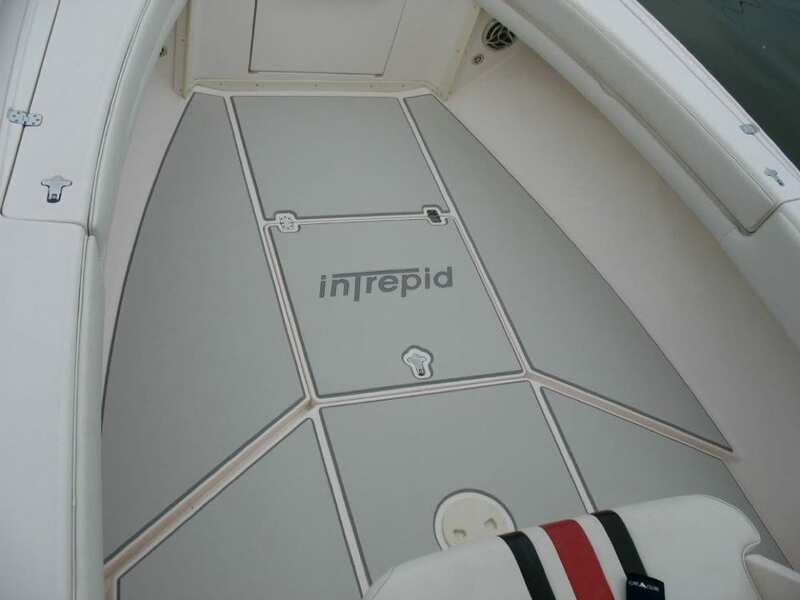 The cool gray with storm gray trim is one of the most popular colors options and provides a nice subtle look while providing enough contrast to add logos like we did on the front deck hatch. 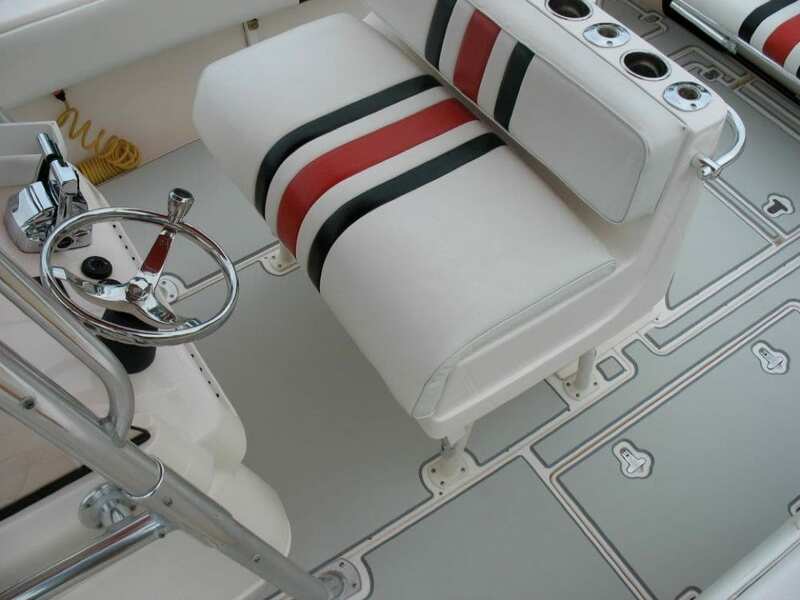 If you are interested in adding custom SeaDek to your boat, no matter how large or small of a job, you can contact Castaway Customs at info@castawaycustoms.com.